Most of you already know this but Baby Coco's real name is Roscoe. We are naming him after his Granddaddy Morris (Danie'ls Father). We can't wait to see Roscoe and Bono Baby together. 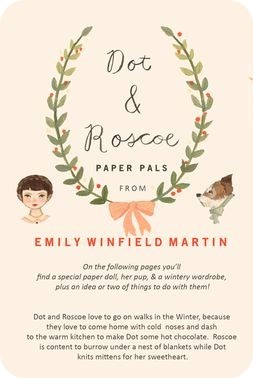 Anyhow, I was thrilled when I saw that Emily Martin announced her free Christmas download of one of her fabulous paper dolls. I was even more excited when I noticed that the puppy featured is named Roscoe. Now head on over to her blog and print up a copy. p.s. At birthing class last night the nurse told us that we could go into labor at anytime and I about freaked out. Fingers crossed that Roscoe is on time and not super early. I have too many to do's that need to be crossed off of my list before he arrives. Every time I think of Roscoe I smile! Such a wonderful name for an adorable baby boy! I'm on my way over to download the beautiful paper dolls for Baby Woo. They're so pretty I might just stick 'em in a frame! Don't freak out pretty Kitty, Baby Coco will come exactly when he should. I was having what I thought were contractions in my back last night. I thought....hmm....maybe I'm not as ready as I thought! Baby Woo is due in 5 weeks from today! Time has flown! Thank you for commenting on this post. 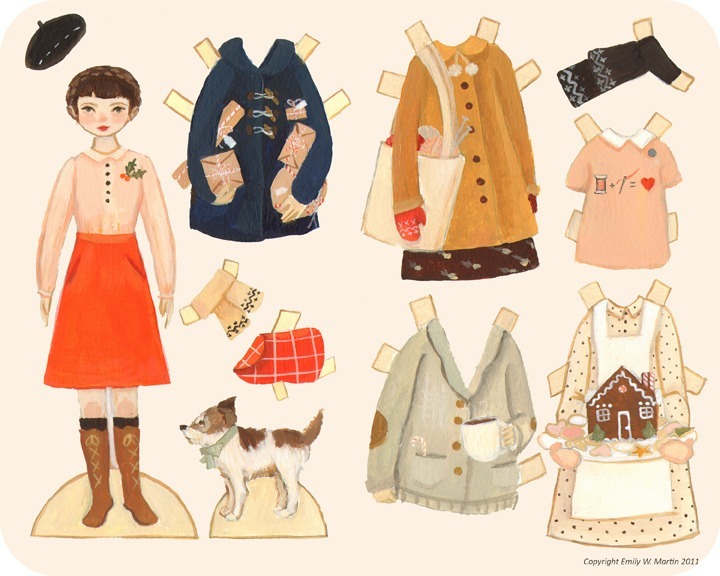 I so think you should frame the little paper dolls for Baby Woo's room. Make a copy to play with too, just for fun. Or maybe you could laminate one and use it as a Christmas ornament. So many possibilities. I know everything will be all right for both you and Baby Woo and me and Roscoe. I just can't get my to do list out of my head and I feel huge. Sending you all my love, sweet friend.